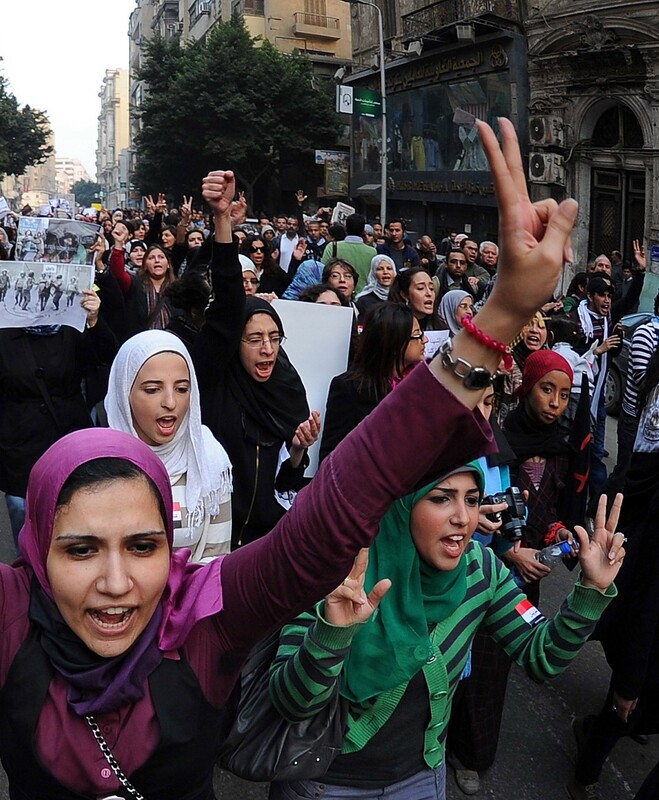 Egypt – A new ally to defend women’s right to protest? Even after two years, Egypt still doesn’t have a strong central government which could be able to push the political process forward, as well as the economy and social cohesion. Today, what is happening in Egypt is not a popular and unified uprising, but a political polarisation which justifies the use of violence on both sides, National authorities and protesters. The political and social issues are creating violence, especially at Tahrir Square, in Cairo, where sexual harassment is part of the violence. Over the past months at Tahrir Square, there were many cases of attacks and rapes. Sexual harassment was used as a strategy by the regime to intimidate women and girls. Today, sexual harassment can be considered as a social issue, taking place during crowded events. Many organisations are fighting in order to stop abuses and more and more interviews are taking place, hopefully helpful, but which makes us shudder as well. On the 25th of January 2013 (second anniversary of the Egyptian Revolution), the “Black Bloc” made an appearance in the Egyptian political scene. The Black Bloc, in Egypt, is using the name of already existing anarchy group, and is considered by the Egyptian Authorities as terrorist group which adopts all forms of violent and barbaric acts. The black bloc is self-defined as a group which would continue the revolution and protect protesters. At the same time, they are mainly fighting against the Muslim Brotherhood and its military wing. The situation is complicated, but rather than finding who is right in such a political context, an interesting mix took place. Indeed, women fighting for their rights and against sexual harassment found an ally the Black Bloc, at least during demonstrations. Despite the risks of sexual harassment, women in Egypt are still protesting, asking for an end of sexual violence. The Black Bloc, which describes itself as a protector for the protesters, is also protecting women against sexual acts. Today, women have also joined what is now called the “Tahrir Bodyguards” to protect women demonstrators. This doesn’t seem to be a long term solution as women and the Black Bloc may have political divergences. However, and whereas it is not a permanent ally, thanks to the Black bloc, women are able to defend their right to protest. Very interesting article, but I’m a little confused. Are you saying that the Tahrir Bodyguards are partners with the Black Bloc, or that they just serve the same purpose in-parallel? No, i am saying that the Black Bloc, for whatever reason (getting known, having a better image) are taking the role of bodyguards for women. They just serve same purpose in parallel, but i think they have another wish behind this. This entry was posted on 17/04/2013 by ISIS Europe in François Ducrotté, Opinions and tagged Egypt, European Neighborhood, Gender & Security, Meanwhile, MENA.